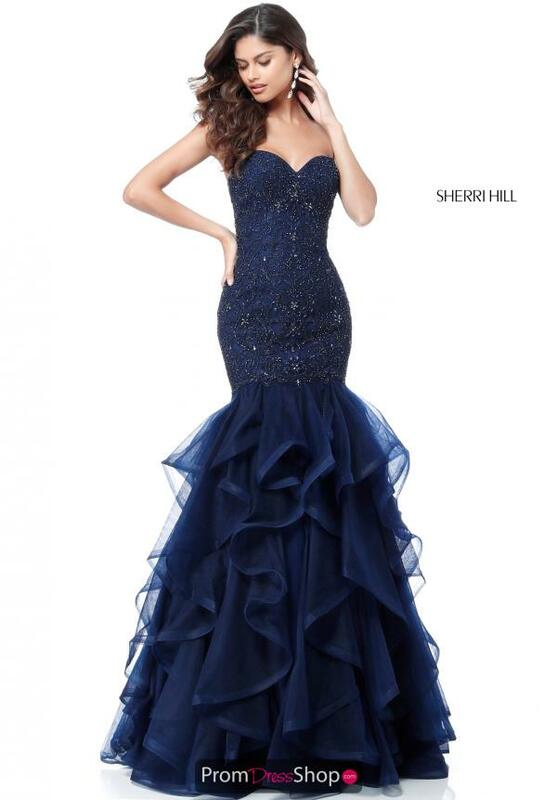 Show off your figure in the fabulous mermaid prom dress 51706 from Sherri Hill. The sweetheart neckline on the bodice is detailed with lace appliques. Beads and stones give the dress the perfect amount of glisten. Ribbons of material line the mermaid skirt which gives it that extra amount of fullness. Pair this look with chandelier earnings.